Bespoke learning environment provider, The Immersive Learning Studio, has received a £50,000 loan from NPIF – BFS & MSIF Microfinance, managed by MSIF in partnership with GC Business Finance as part of the Northern Powerhouse Investment Fund. The Immersive Learning Studio is a Liverpool-based company that specialise in building state-of-the-art, immersive learning & training environments for business. 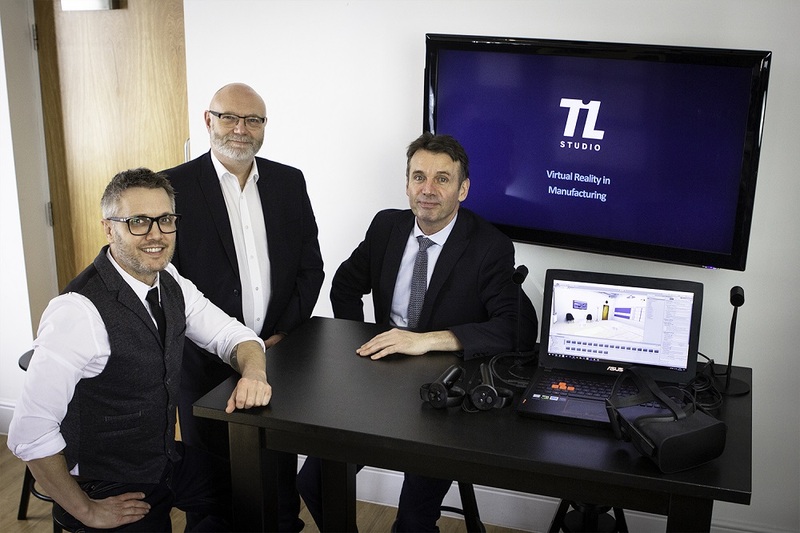 Co-founders & Directors, Carl Da-Costa Greaves and Kevin Melia, launched The Immersive Learning Studio as a direct result of demand from existing customers of their already successful strategic and creative marketing agency, Studiowide. Whilst recognising the growing need for this segment of the existing Studiowide business, Carl and Kevin also recognised the requirement for a separate ‘sister’ company to solely focus on creating and developing new and immersive L&D environments. By using their passion and skill for digital, The Immersive Learning Studio harnessed multiple technology services, including virtual and augmented reality, to deliver new ways of learning to an impressive list of global brands including; Rolls Royce, Lufthansa, Airbus and Continental Tyres. To help with the expansion and growth of The Immersive Learning Studio, the directors approached MSIF Investment Manager, Andy Jones. As both directors had a long standing relationship with MSIF, Andy was able to thoroughly identify their business needs, resulting in securing £50,000 of NPIF funding. Going forward, The Immersive Learning Studio will continue to put the learner at the heart of everything they do. Their goal is to create lasting behavioural change by using thought provoking and mentally stimulating environments. The funding obtained will allow The Immersive Learning Studio to further grow the business, expand product development and wider market their services to organisations. Kevin Melia Director The Immersive Learning Studio said: “We’ve enjoyed a long and successful business relationship with MSIF, and we continue to work with them because we’ve benefited from more than just the financial lending support they provide. It’s their holistic approach to working with businesses that motivates our decision. This includes their collaborations with Studiowide on the Liverpool Business Initiative, the introduction to other Merseyside businesses, who they felt there was a synergy and mutual benefit with, and also their valuable insights into any business plans we present to them. They’ve been a valuable partner to Studiowide, I look forward to a similar success with The Immersive Learning Studio”.